Finally, the much awaited verdict with regard to the Blackbuck poaching case is here and it is SHOCKING. He has been awarded five years in jail. In addition to this, Rs. 10,000 fine is imposed on him. Security is tightened outside Jodhpur Central Jail after Salman Khan was awarded five-year jail sentence. Spiritual guru Asaram Bapu is also lodged here. This changes everything for Salman and his counsel now. Salman’s lawyer now will make sure that they move to higher court. In a landmark judgement, Jodhpur judge has found Salman guilty but acquitted his co-stars Saif Ali Khan, Tabu, Sonali Bendre, Karisma Kapoor among others from the charge. For the uninitiated, Salman Khan was the main accused in killing of two blackbucks in Jodhpur while the shoot of Hum Saath Saath Hain was on in 1998. Now we are awaiting next move by Salman’s lawyer Hastimal Saraswat. The actor will now be taken to the Jodhpur Central Jail. 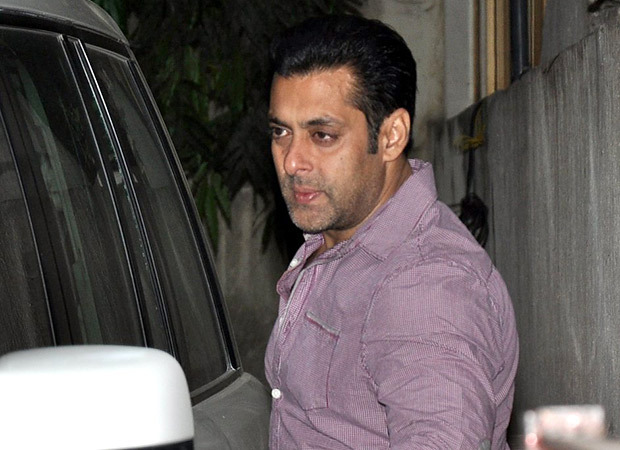 According to reports, Salman’s sister Alvira Agnihotri broke down in the court after the judge announced the verdict. The blackbuck case is on since about 20 years now. It all started when the local Bishnoi community found two blackbucks dead and reported to police. Further investigation suggested that the cast of Hum Saath Saath Hain were riding the jeep and hunting in the area. A local onlooker also, in his statement, stated that it was definitely Salman who pulled the trigger but Tabu was in the vicinity and encouraged him to do so. Miley Cyrus' New Year's Eve Performance Plans: She Can't Ride the Ball When It Drops, Says Ryan Seacrest! Shah Rukh & Salman Gear Up For Another Big Fight? Salman Khan To Produce Bigg Boss Season 8? B-Town Celebs Galore At Salman Khan’s 48th Birthday Bash!